There are many things that you should have in your natural healing medicine cabinet. Many include colloidal silver at the top of the list! But what is colloidal silver and what can you use it for? Ancient civilizations knew that silver had antimicrobial qualities and used it to help heal wounds and purify drinking water. From the time of Hippocrates right up until now doctors have used silver in dressings to help with sanitary and quick wound healing. Even soldiers in WWI used it in the trenches! 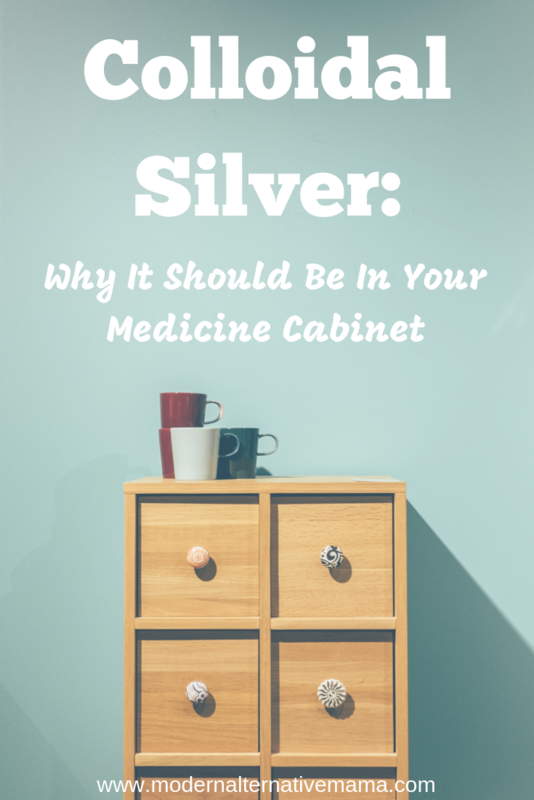 Before antibiotics, silver was THE thing people turned to for healing. Recently, some people have voiced concerns about the use of oral colloidal silver claiming that silver is a heavy metal and should be avoided like mercury. But silver is actually listed on the periodic table under the same class of elements as other essential nutrients like iron, zinc, and others. Mercury is listed on the periodic table as a heavy metal – silver is not. Having said that, the type of silver you take matters. You wouldn’t take silver nitrate orally – that could be toxic. But taking a true colloidal silver is considered to be similar to taking other minerals and nutrients in small doses – safe. If you’ve searched for colloidal silver on the internet you’ve probably come across warnings about it causing an irreversible condition called argyria. This is a condition where a person can turn blue! BUT these cases were caused by the misuse of silver in doses not suitable for human beings. When you’re shopping around for colloidal silver you’ll want to pick one from a reputable company that has many years of experience. You can get colloidal silver in regular liquid form, nasal spray, and regular spray. There are even soaps infused with colloidal silver you can use in cases where you have a topical infection like athlete’s foot. So choose one that matches what you’ll be using it for. Make sure that the kind you choose has a lower ppm (parts per million) for internal use and a higher ppm for external use. Then it is separated into two forms of silver: ionic silver and silver particles. Just as the name implies, ionic silver primarily contains ionic silver particles. It is the least expensive, but will not produce the same results. So you get what you pay for. To help keep the silver particles suspended in the solution some companies add gelatin. This makes the silver less effective though, so you won’t get the same benefit as you would from pure colloidal silver. Contains nanometre-sized (read: very very very small) silver particles and is considered the purest form you can get on the market. Colloidal silver can be used on people and animals of all ages. Just remember to tailor the dosage to the size of the person using it. It has been discovered that internal silver use should possibly be avoided by those who have existing gut damage. Since it acts like a natural antibiotic, those with an already fragile gut ecosystem could be negatively affected by its internal use. One way around this is to combine the use of internal colloidal silver along with probiotic use. The use of probiotic products is said to counteract any possible further gut damage it may cause. As with any natural product, drug, or herbal product, we don’t have adequate unbiased scientific studies to fall back on when deciding whether taking something like colloidal silver is a good idea. We can only look at the experience of others, its purported benefits, history, and our own health as our barometer for safety. Where is the best place to store your silver products to extend their shelf life? It’s best to buy and store your colloidal silver in a dark blue or amber-brown glass container away from heat and light. But do not put it in the fridge! 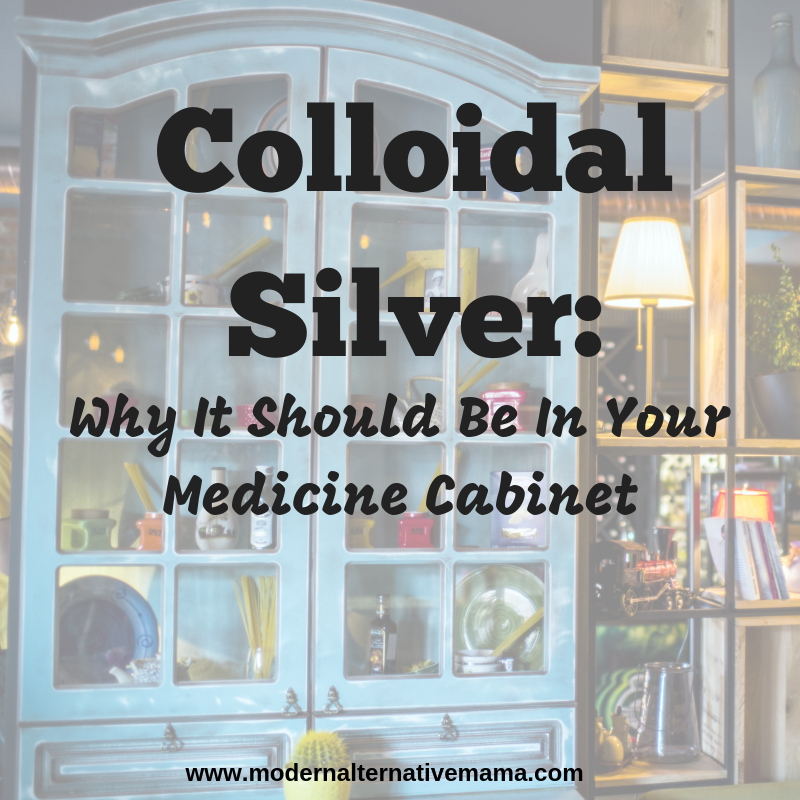 If stored in a dark cabinet in a cool part of your house colloidal silver can last for months or years! Do you use colloidal silver? My toddler had Rotavirus for a week before we figured out what it was. Then my 7 year old got it. Since I knew what it was, I gave colloidal silver to my 7 year old who couldn’t get off the toilet, and she was like a new kid the next day. Like she was never sick. Gave it to my toddler and she was cleared up within 2 days.